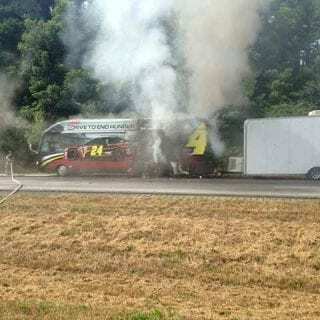 JACKSON COUNTY, Ga. – Authorities say a bus-type motorhome belonging to NASCAR driver Jeff Gordon burned along a north Georgia interstate on Wednesday. 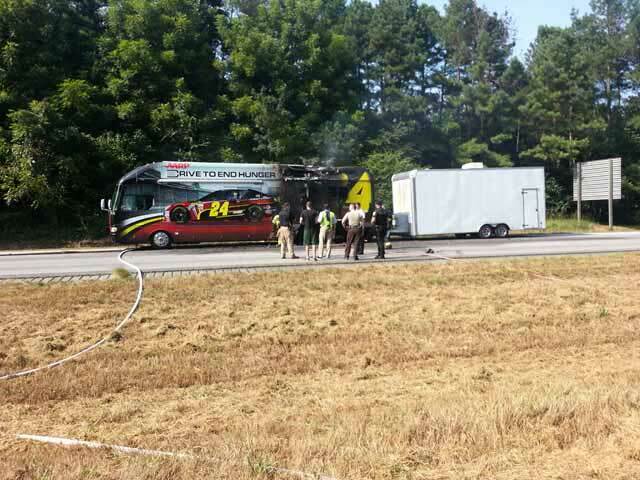 The Jeff Gordon fire happened in the southbound lanes of Interstate 85 in Jackson County near mile marker 130. 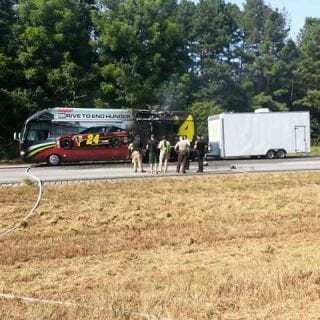 Firefighters shut down both southbound lanes while they extinguished the fire. 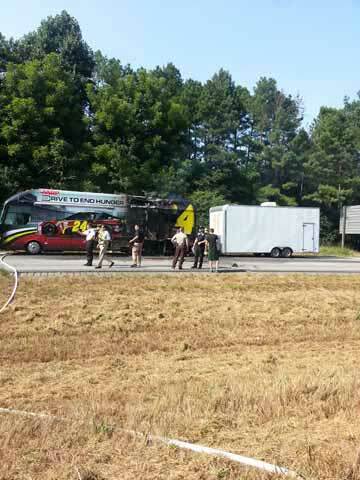 They say no one was hurt, and the fire did not spread to a car hauler trailer which was being pulled by the bus. 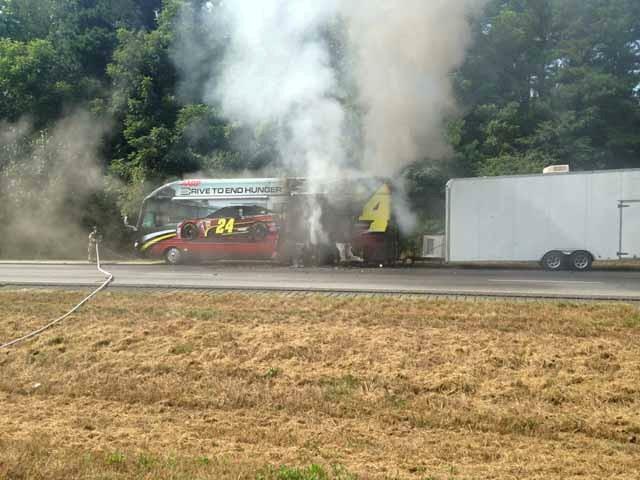 Authorities said the vehicles appeared to be part of Gordon’s merchandising team, and Gordon was not present. 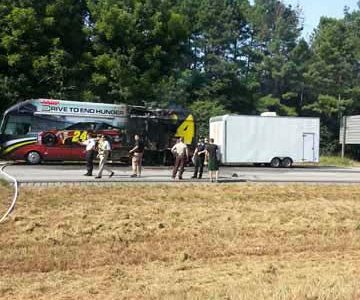 NASCAR drivers and their crews are headed to Georgia for this weekend’s Avocare 500 race at Atlanta Motor Speedway. 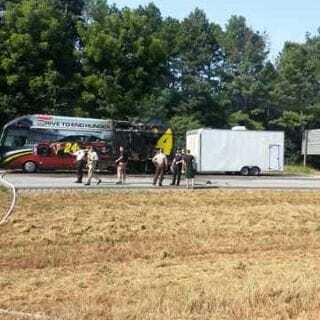 Photos above courtesy of the West Jackson Fire Department.